Via Doug Padilla at ESPN; "Dodgers aim to re-establish lost Dominican connection." "The three years before this ownership took over, the Dodgers were last in international signings ... dead last," Kasten said. "And it was so ironic, because the Dodgers invented international scouting. So in my first year, I went back to Campo, and I saw that it had been the product of a change of philosophy. It just wasn’t up to the standards that it once was when it was a showpiece." Via Ken Gurnick at MLB.com; "Baez shut down as thumb injury lingers." Baez, who has yet to appear in a game this spring, was injured Feb. 23 while pitching live batting practice when a comebacker struck the base of his right thumb. 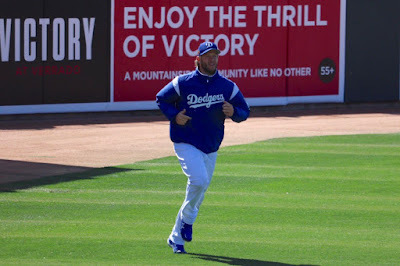 He took a few days off and resumed playing catch, but the discomfort has lingered and the Dodgers were concerned enough to shut him down and order further medical testing. Via ABC News7; "Yasiel Puig's Sherman Oaks home burglarized." Eyewitness News confirmed that someone broke into the athlete's home and took approximately $170,000 in jewelry and other property. Los Angeles police said the exact dollar figure remains unclear. 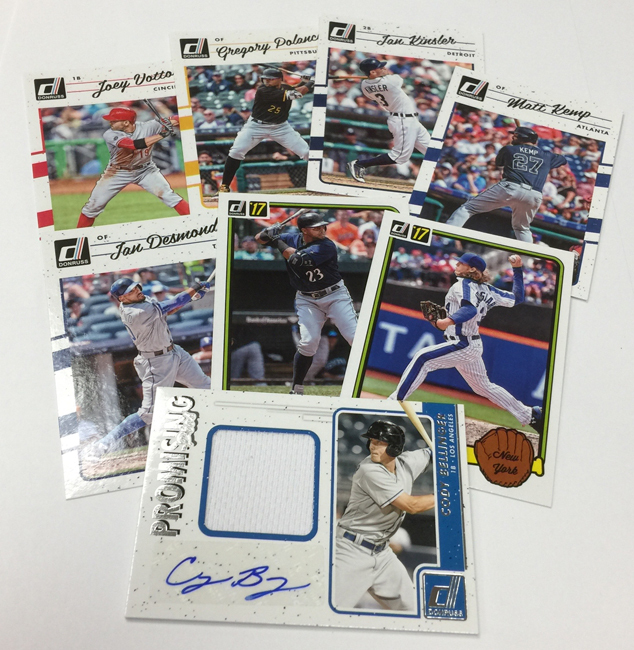 Panini America's blog shares a bunch of preview pics of their 2017 Donruss Baseball card set; including the Cody Bellinger card seen on the right. 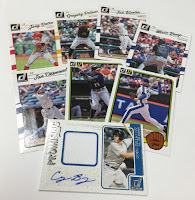 Go here to check out more cards. This set should be available in stores now. Via James Bisson at The Score; "Shawn Green Q&A: On Team Israel, early retirement, and Bautista's booming bat." Q: How proud are you of Israel's start at the World Baseball Classic? Green: It's really great to see what they're doing. 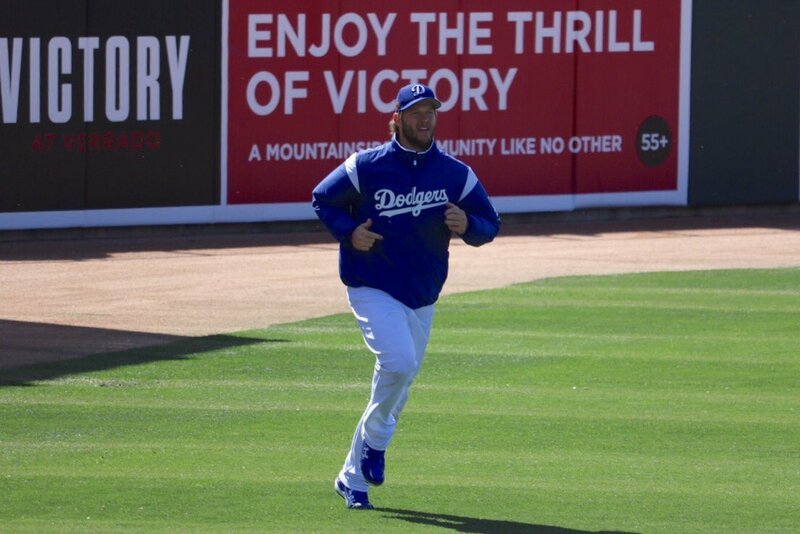 Even just to qualify for the WBC was really exciting. I was a part of it four years ago as a player/coach. Everyone took a lot of pride in their heritage and representing Israel. I think 90 percent of the guys were minor leaguers. A lot of those guys are back, and they have the experience from four years ago and of the qualifier that they just won. Like it, lump it, make your mind up to it because (she's) coming! And think about this when your heads hit the pillow, (she's) only the first, boys, only the first. More are coming right behind him. They have talent and they wanna play! He lets that sink a moment.